STARRING Kevin Whately, Gerard Horan, Emma Pierson, Darren Boyd, Alexei Sayle and John Sessions. 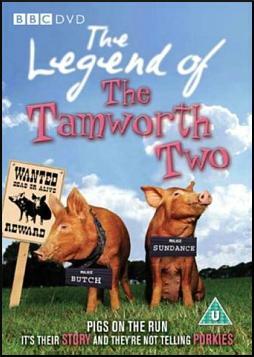 SYNOPSIS In January 1998, two wild boar piglets hit the headlines after escaping from the abattoir when being unloaded. The two piglets named Butch and Sundance evaded police, press, RSPCA, and members of the public for several weeks while hiding out in overgrowths and woods. The adventure did come to an end when the piglets were finally caught and luckily bought by the Daily Mail. They ended up at the Kent Animal Sanctuary, where they will spend the rest of their days.